I had thought about getting a bookshelf that was accessible to my students. This would free up more time for me to teach because I wouldn’t need to hand them everything. It would also be safer than my kindergarten students getting things off the higher shelves themselves. 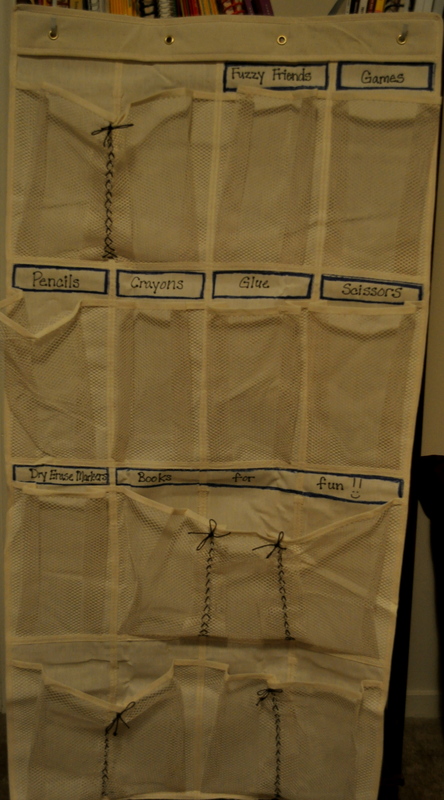 Since I didn’t really have the space for another bookcase, I decided to make a hanging wall organizer. 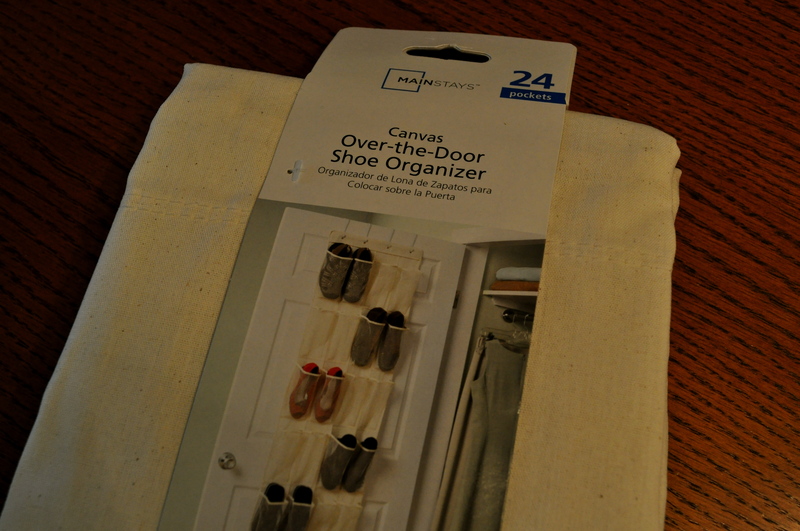 Hanging organizers similar to this one are $30+ at the teacher store in town. 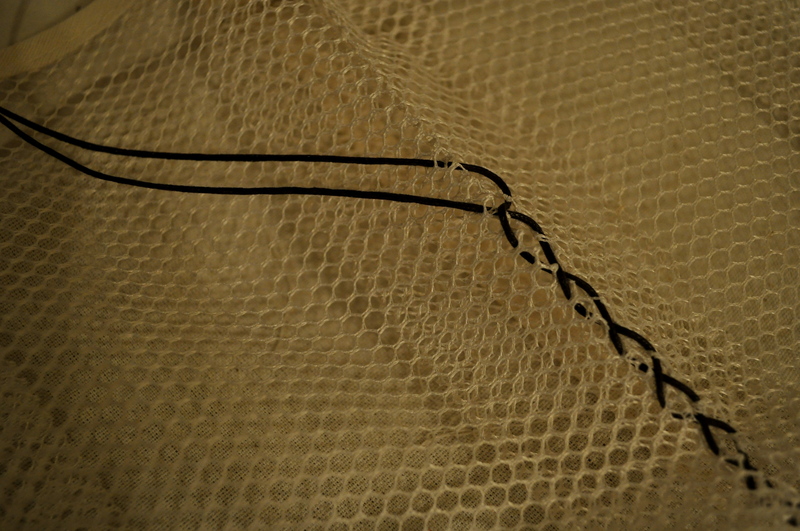 This one was make with a $10 organizer from Wal-mart, string from another project, and a couple sharpies. Anyway, I decided which items should go in which pockets, and labeled them with a sharpie. 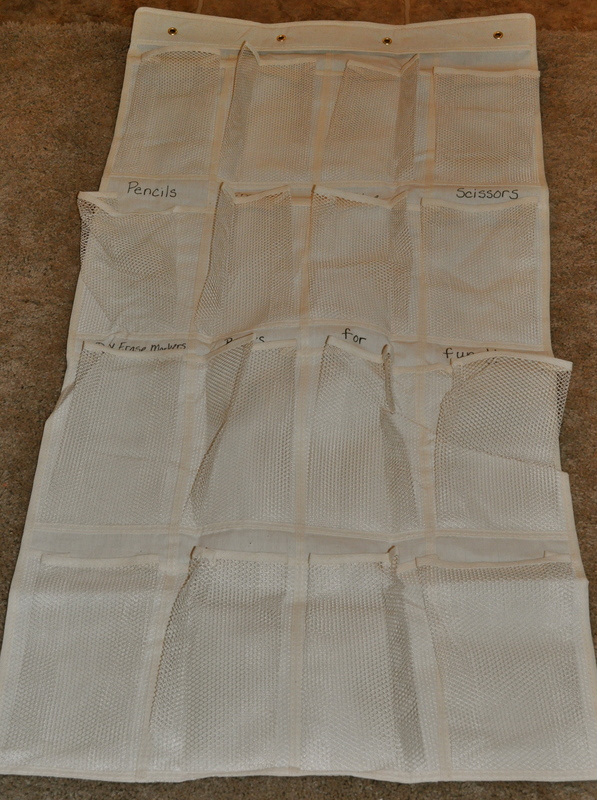 Since the books for the literacy center were too big to fit in one pocket, I decided to merge several pockets into one. 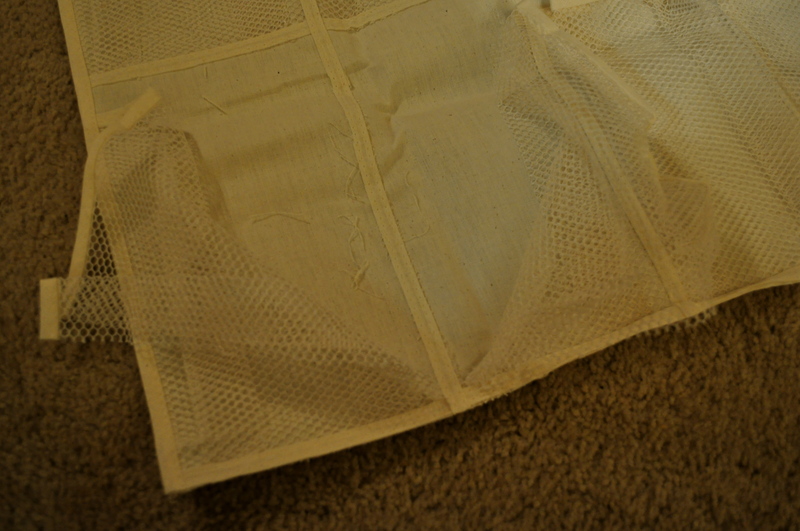 First, I cut the sides of the pockets. 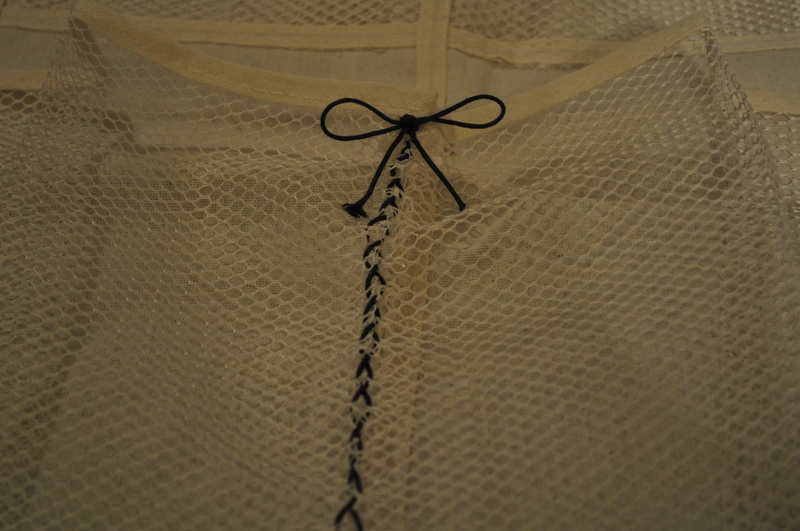 Then I laced them together, tying a bow at the top. Then, I added borders around the labels with a blue sharpie (to add more color). 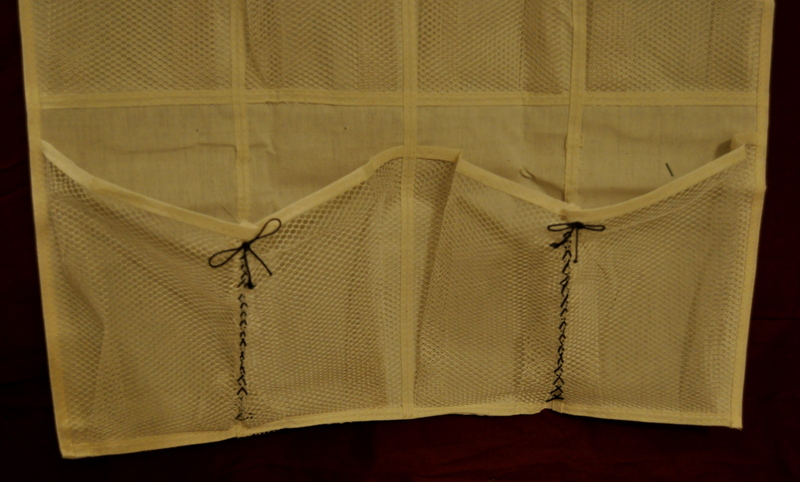 Posted on February 9, 2011 by Katie •	This entry was posted in School and tagged teaching. Bookmark the permalink. Very cute! 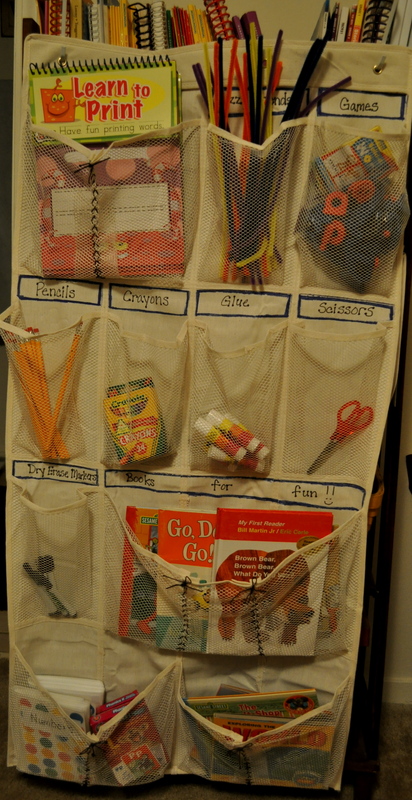 You have some great ideas for your classroom! Can’t wait to hear more!